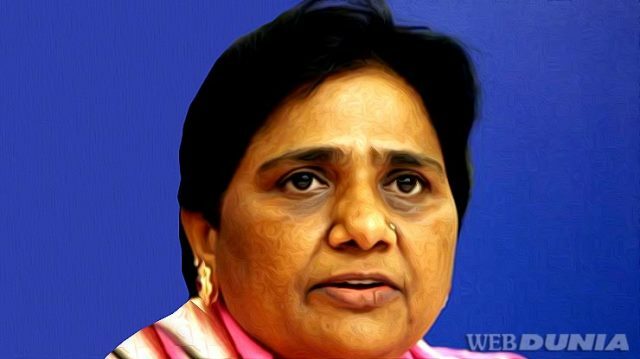 New Delhi: To keep the BJP out of power, the Bahujan Samaj Party (BSP) chief Mayawati on Wednesday announced her party will support the Congress in Madhya Pradesh, where the grand old party fell short by two seats to reach the magical number to form the government. The Congress won 114 seats against BJP's 109 seats in the 230-member Assembly, where the required number to form the government is 116.The BSP won in two seats and its Uttar Pradesh counterpart Samajwadi Party (SP) won one seat in Madhya Pradesh. We are ready to support Congress in Madhya Pradesh and if needed in Rajasthan to keep the BJP away from power, though we do not agree with many of the Congress policies, Ms Mayawati said. She also said that the Assembly poll results in Chhattisgarh, Rajasthan and Madhya Pradesh showed that the people were totally against the BJP and its anti-people policies.They had chosen Congress in the absence of other major alternatives,? she added.